Matthew Jeffery, an immigration lawyer Vaughan with extensive skill in all types of immigration matters. With a law degree from the prestigious Osgoode Law School and over 20 years of experience in immigration matters, Matthew and his team come with the expertise needed to guide clients on the complex Canadian immigration law. He has helped clients applying for permanent residence, citizenship, study visas, work permits as well as offering legal representation before the Canadian courts for immigration appeals and other litigation matters. If you want to bring your family to live and/or work in Canada, there are certain basic requirements you must fulfill to qualify as a sponsor. For instance, you need to prove that you have sufficient income to support the family members when they arrive in Canada. 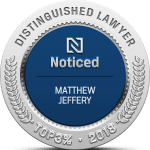 The Law Office of Matthew Jeffery is ready to help you with your spousal sponsorship application. We’ll explain to you the minimum income exceptions and let you know your options to make your dream of reuniting with your family come true. For your permanent residence card renewal to be approved, you must have been physically present in Canada for at least two years within the past 5 years. As experienced immigration lawyers, we can provide you with options to renew your PR card. You may even qualify to maintain your permanent resident status on humanitarian and compassionate grounds. Want to find out if you qualify for the Federal Skilled Worker Program, Federal Skilled Trades Program or Canadian Experience Class? We can help. These programs are under the Express Entry system and they provide the IRCC with a simple way of managing applications for permanent residence by skilled workers. You can enroll in the program if you fulfill all the minimum requirements and then wait for an invitation to apply. How you present your initial Express Entry application will determine how well you rank and increase your chances of being invited to apply. We’ll provide ongoing support and advice to improve your chances of receiving permanent resident status through the Express Entry program. If you wish to enter Canada on a temporary basis, we can assist you with the process of acquiring a temporary resident visa. There are different types of temporary visas that you can apply for including a student permit, work permit or visitor visa depending on your unique situation. Each type of temporary resident visa has specific requirements which must be fulfilled in order to be considered. Our immigration lawyer can help you with the application process and ensure the best chances of approval. There are many reasons that can lead to your citizenship application being rejected. To be granted Canadian citizenship, you must have been physically present in Canada at least 3 years within the 5 year period immediately before applying for citizenship. You also need to pass the knowledge of Canada test, show that you have sufficient English or French skills and have filed your income tax returns for at least 3 years in the relevant period. Citizenship applications can also be approved on humanitarian and compassionate grounds. We can help you explore all possible options to be granted Canadian citizenship. If your application for citizenship or permanent residence was rejected, you have the option to appeal the decision within a specified time period. Our experienced immigration lawyer Vaughan has handled numerous appeals such as Judicial Reviews before the Federal Court of Canada and Appeals to the Immigration Appeal Division. We promise to provide you with ongoing support and legal advice in all immigration matters. 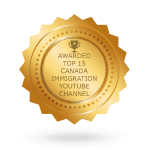 Many of our clients come to us after being declared inadmissible to Canada. 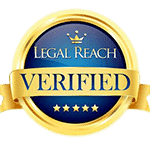 We offer them sound legal representation to successfully challenge the decision in court. Inadmissibility cases can be complex and frustrating to the foreign national and his/her family. Whether you’ve been found inadmissible on criminal or medical grounds or due to misrepresentation, we can assist you to obtain medical reports or any other facts and supporting evidence to get a successful outcome. 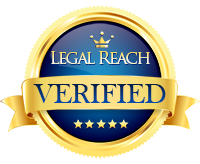 Our immigration lawyer comes with skill and experience in handling all kinds of inadmissibility cases. If you need to discuss any of the above immigration matters with Mr. Jeffery, our law office is open to assist you. Reach out to us for a consultation whenever you’re ready. With a steadily increasing population of over 288 000 people, Vaughan has nearly doubled in size since 1991, thanks in part to the expert law services provided by the office of Matthew Jeffery, Canadian immigration lawyer. Home to many attractions including the Boyd Conservation Area, the Kortright Centre for Conservation, Reptilia Zoo, and Canada’s Wonderland, Vaughan boasts plenty of green spaces and lots to do for its diverse and multicultural population. Featuring the highest densities of European immigrants in the Greater Toronto Area including Italian, Russian, Polish, and Jewish immigrants, this municipality also has a small but continuously growing population of Indian, Pakistani, Jamaican, Chinese, Vietnamese, and Hispanic peoples. A popular destination for immigration, Vaughan offers everything a family could want from a small town while remaining close to the amenities of the big city. Vaughan is divided into six sections, each with its own character and community. Woodbridge, among the most affluent neighborhoods in the GTA, was once an independent town and now makes up the largest suburban area in Vaughan. Another high-growth suburban area is the former village of Maple, which was eventually absorbed into the municipality. Thornhill and Concord are also modern suburban areas while Kleinburg, a historic and unincorporated village, has a population of just 952 and takes up a small section of land between two branches of the Humber River. 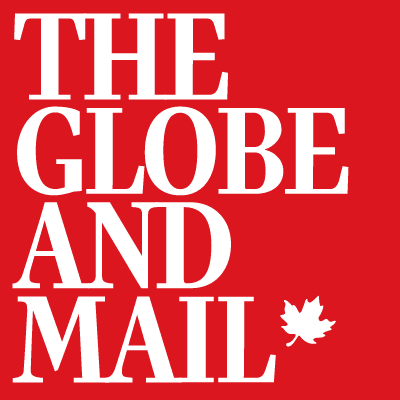 The final community, Vaughan Metropolitan Centre, is the proposed central business district and will measure 125-acres of downtown development when completed. Immigrants or permanent residents of the Vaughan area who are interested in obtaining Citizenship should contact the office of Matthew Jeffery for more information as well as sound legal advice on all aspects of immigration law. Please contact us at 866-886-8014.